Well … what a day in social media world I had yesterday! At an unearthly hour of the morning I received a text from my son to say that he always read my blog posts because even though he might not understand them – he always felt that he ought to, just in case there was something he could actually TALK to me about … rather than just converse via Google+ (we live approximately half-a-mile away from each other)! This was then followed by a Google+ comment from my sister – also before I’d fully woken up, and finally my wife (away for a few days) who wondered what was happening to her Google+ app on her iPhone which was being bombarded by posts from me. By this time I’d observed for myself that for some bizarre reason, three really old posts on an old blog were being published to Google+. Why? How? I couldn’t see to the problem immediately – I had to give DJ a lift to the airport. Then I had to attend to a central heating problem and then, to cap it all (and by the time I’d sat down) – the broadband was down and wouldn’t be up until the afternoon, meaning I wouldn’t be able to do more than sticking plaster stuff on the blog until I could get full access. So I just disabled any plugin that could in any way be associated with Google from this blog and deleted all the posts from Google+, put up an apologetic post and hoped I’d arrested the flow of “spam” posts. What caused all this heartache? 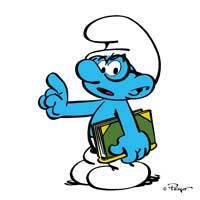 I don’t think I’ll ever know … what I needed was access to Brainy Smurf to provide all the answers. Was it an out-of-date WordPress installation? Was it a change in a Google+ API? Was it just Friday 13th? I don’t think I’ll ever know. Certainly not now, as the website has been sent to the Room 101 of websites where all redundant and unneeded websites should go. I sent a follow-up apologetic post. A while ago, I posted on revising my blogging strategy and the need for simplification. I think I need to review this yet again. 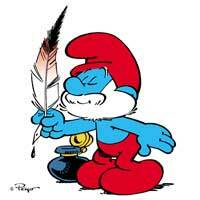 Why the Smurfs … I think you need to ask a couple of great friends that question.